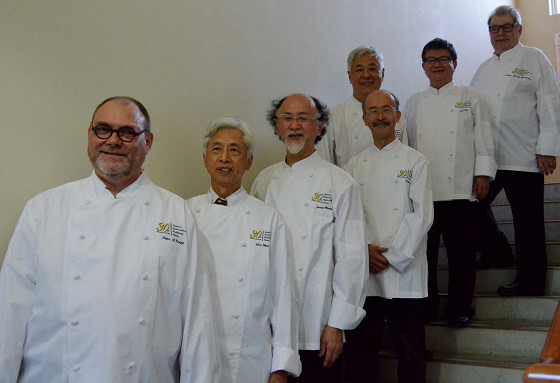 28 May 2016, as a gesture of appreciation to ACF and Junyi Experimental High School Chairman Stanley Yen, eight accomplished chefs reunited in in Taitung – traveling in from Singapore, France, Australia to prepare and host one dinner banquet for the volunteers and donors of ACF. 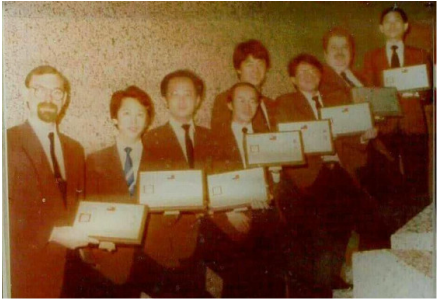 In 1986, Chairman Yen sponsored the chefs to compete in the Singapore FHA International Culinary Challenge; they were Taiwan’s first culinary team to ever compete overseas and would return home with gold medals marking a stepping stone for Taiwanese chefs to being globally recognized, and 2016 marks the 30th year since this significant occasion. The appreciation banquet, hosted at Junyi, was an evening for ACF and Junyi to show appreciation to their supporters; as well as an opportunity for Junyi students to learn international dining and restaurant etiquette through servicing the banquet. The banquet brought together people of ACF’s past and present, bringing together guests from a span of professions from education, culture, business to tourism. 35 of Junyi’s grade seven to ten students underwent three professional service training sessions – from table setting to learning dining sequences, menus, cutlery and service etiquette. The evening program included student and teacher collaborations from piano and flute duets to band performances, choir performances by Kung Tung Technical Senior High School’s Hilber Jakob Memorial Choir and even a surprise performance by internationally renowned violinist and close friend of Chairman Yen, Hu Naiyuan. Every performance honoured the guests, and every students smiled confidently during the service leaving positive and lasting impressions. In closing, Chairman Yen speaks of how he hopes for students to not only develop into responsible young adults, but to be sophisticated, internationalized individuals who feel comfortable and confident in all situations. He gives appreciation to guests and to their support and faith in his vision for education revolution for Taiwan and for the Asian communities. The Singapore FHA International Culinary Challenge is also known as the “Culinary Asian Games”. Since 1978, FHA has become a bi-yearly food expo and culinary competition. Participating countries include Germany, New Zealand, Switzerland, Canada, Czech, Mauritius, South Korea, Malaysia, Hong Kong, Singapore, Taiwan, and Australia.